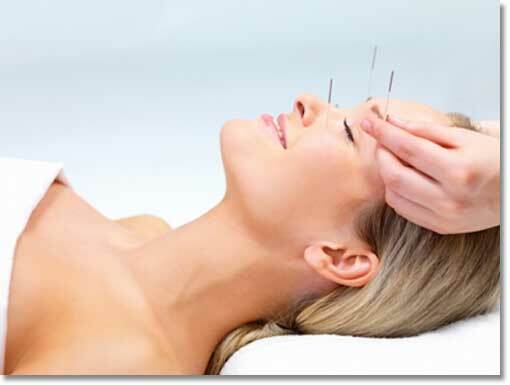 Cosmetic acupuncture is also known as acupuncture facial rejuvenation. This specific protocol can enhance your physical appearance and also your overall health, giving you a glow that radiates from deep within. Cosmetic acupuncture offers reduction or erasure of fine lines and the softening of deeper ones by stimulating collagen and elastin in the dermal layer of the skin. Many clients also experience the firming of jowls and a reduction in the size of under-eye bags. Clients report enhanced skin tone, increased energy and eyes that sparkle. Cosmetic acupuncture is based on time-tested principles of Traditional Chinese Medicine, therefore a person’s overall health also benefits. Cosmetic acupuncture is a whole-body treatment. In the Traditional Chinese Medicine view, the functions of internal organs affect a person’s face. Facial features reflect organ strengths or depletions. As internal organs are fortified, one’s face reflects the improvement. Treatments balance the body’s energy and create a sense of well-being. Cosmetic Acupuncture treatments promote the circulation of Qi and blood in the face. Increased blood circulation to the face moistens the skin and promotes collagen production for increased muscle tone and elasticity. From a Western medicine perspective, it is thought that the needling creates production of more collagen and elastin in the face. Anti-aging Cosmetic Acupuncture is less expensive, healthier, and safer than the modern treatments. It’s virtually risk free and there are none of the side effects of face lift surgery, lasers, and injections like numbness, scarring, possible atrophy, and lengthy recovery time. Treatments include assessing the overall condition and treating organ meridian points as well as many areas of the face. The practitioner uses ultra-fine needles in and around specific wrinkles, and at acu-energy points. At Blue Heron Center, we use Mei Zen facial rejuvenation and other effective techniques for the best results. Using acupuncture needles on specific points on the face to enhance beauty and preserve a youthful appearance has been done for centuries in China and other Asian countries, but it’s just started to become popular in the United States recently. A 1996 study published in the International Journal of Acupuncture said that, of 300 patients surveyed, 90 percent said they saw a lessening of lines, clearer skin tone and subtle tightening. Since patients don’t take chemicals into their body or undergo anesthesia and surgery, there’s little if any controversy over the safety of the procedure. Call for your consultation and treatment today!